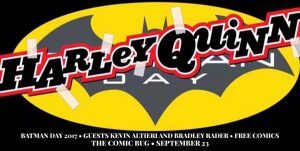 Join us at The Comic Bug in Manhattan Beach as we celebrate Batman Day! To commemorate the 1990s television show 'Batman: The Animated Series'' 25th anniversary this month, Londyn Jackson (History of the Batman) is hosting a Q&A panel with creators Kevin Altieri (storyboard artist and director, Batman: The Animated Series) and Bradley Rader (storyboard designer, "Batman: Mask of the Phantasm", illustrator, "Batman Adventures" and "Catwoman")! 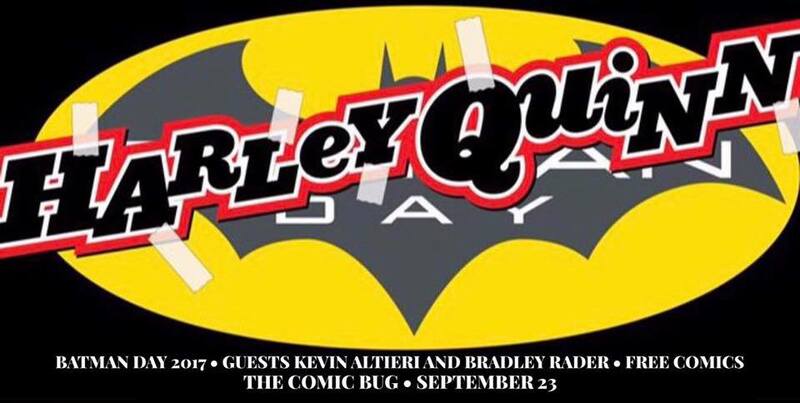 Come celebrate the Dark Knight and Harley Quinn's 25th birthday by picking up FREE Batman Day comics and meet Kevin Altieri and Bradley Rader at their signing!